A multi-media performance by Paula Varjack about a frustrated relationship with high fashion, and how it relates to entitlement, exclusion and territory. The record-setting New York Christmas sensation tours ahead of a Christmas season at The Lowry. The musical version is narrated from the persepective of Max the dog and features songs 'You’re A Mean One Mr. Grinch' and 'Welcome Christmas'. Craig Cash and Phil Mealey's low-fi pub sitcom live on stage. Sequel to Conway's Walk of Shame which follows what happens when you stop chasing the 'perfect' version of yourself. Comedy debut from the English actress. The duo return with their brand of musical infotainment. Tall Stories presents Julia Donaldson's Gruffalo sequel, following the adventures of his child as she sneaks out in the night to see if the Big Bad Mouse really does exist. The comedian and actor – who formerly presented BBC's The One Show and was a team captain on hit Channel 4 panel show 8 Out of 10 Cats – returns to stand-up with his new show, Muddle Class. Jess Robinson returns with more musical impressions and vocal gymnastics. Live Nation width: 300px; height: 212px;"/> Superb world-class stand-up from the Irishman from Australia acclaimed worldwide as one of live comedy’s true masters as Jimeoin brings his brilliantly observed, ever-evolving and hilarious comedy to The Lowry Theatre for one night only as part of his latest smash-hit tour. Lookout it's Saturday Playhouse! is now a free and weekly art activity for children and their families in our dedicated Lookout space for families. 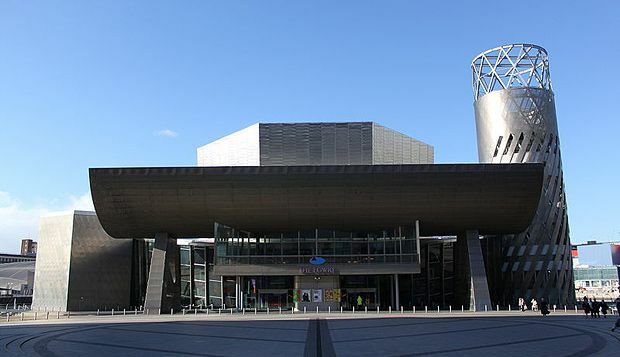 Each week we Lookout for what we can see both inside and outside, taking inspiration from our theatres, galleries and surrounding landscape at Salford Quays and MediaCityUK. Comedian and impressionist Luke Kempner and his multiple personalities host a reality show replete with celebrities, politicians and even royalty. Evening of illusions with Las Vegas magicians Penn & Teller and Mischief Theatre. Acclaimed choreographer and director Matthew Bourne re-imagines Shakespeare's passionate love story, with a new orchestration of Prokofiev's score. Cabaret show about the history of gin. Robin Ince curates evenings of science, comedy and music. Ventriloquist Paul Zerdin takes to the stage with his hilarious puppet pals. Award winning Sale Gilbert width: 300px; height: 443px;"/> With a sparkling line up of experienced principals and ably supported by a strong chorus Sale G and S will bring their hotly awaited version of Princess Ida to life with wonderful singing and with a script delivering what's considered some of Gilberts finest wit. Rhiannon Faith's work deals with surviving an abusive relationship through the use of performance and dance. Comedy about talking by writer and performer Rob Auton, following on from his shows about hair, sleep, water, faces, the sky and the colour yellow. 'Something Old, Something New' Musical theatre companies present their annual selection of musical excerpts SUNDAY 21 JULY at 7:15pm Supporting PROSTATE CANCER UK . Acclaimed dance company Russell Maliphant Company performs a mix of multi-disciplinary choreography and animated video projection to explore Maliphant's research into dance and anatomy. Murder mystery play about train-related crime fiction and a young man's mysterious death. The Countdown star takes a journey into the surreal origins of everyday words. Regent's Park Theatre adapts the novel by Harper Lee for the stage, set in the Deep South where racism divides a community. A live orchestra accompanies newly created Wallace & Gromit animations and a special screening of Wallave & Gromit: The Wrong Trousers. Michael Rosen's award-winning book is brought to the stage for ages 3+. Judie Tzuke, Beverley Craven and Julia Fordham perform their hits and album tracks with a five-piece band.